2016 RASPBERRY SEASON IS DONE – APPLES WILL START LATE AUG./EARLY SEPT. 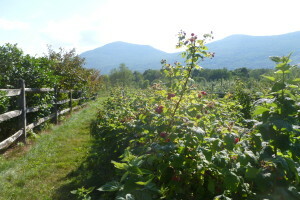 Thanks for making our raspberry harvest a good one – a lot of folks got a lot of good berries. As we walk thru the orchard, the apple crop is looking somewhat better than it did several weeks ago. The old McIntosh trees still have a very light crop and the fruit will be small. The amount of fruit on the young trees varies greatly tree by tree – some with almost no fruit and others with a good crop. All varieties seem to have some fruit – overall there may be 40% of a normal crop. We will have an early apple weekend either in late August or early September for Zestar, Sansa, and Ginger Gold – then open a week or more later for McIntosh and Gala. Honey crisp will start mid September or later. I will post on both our web site and Facebook when we can better estimate when fruit will be ripe. Saturday and Sunday will be the last two days for 2016 raspberry season. Picking continues to be very good, if you look in the middle of the bushes. 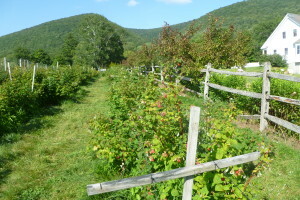 The most berries are in the lower field in the lower half of the rows. The Royalty purple berries in the upper field are also good. Weather looks sunny Saturday and cooler than it has been. Still best to come early. 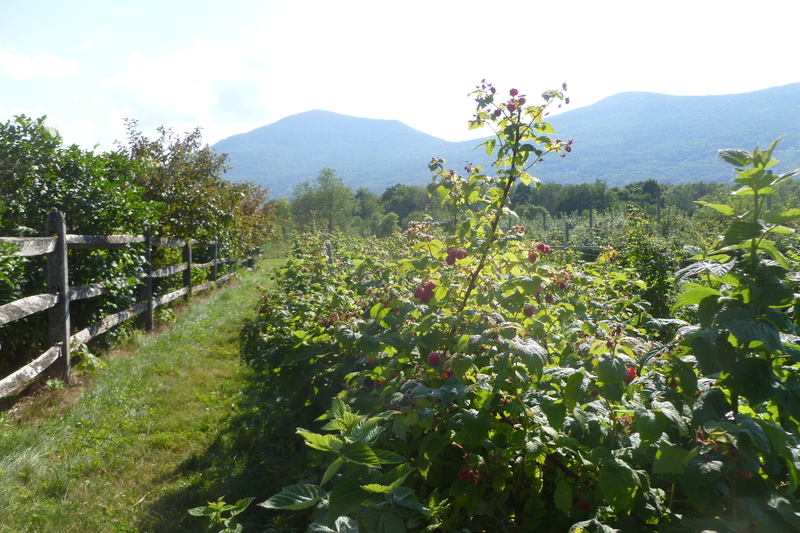 Pictures were taken today after we closed, so you can see there are still good berries – and the view is still there. We will be open Friday, Saturday and Sunday for the windup of our raspberry season. Picking continues to be very good. There is always some fruit left in a pick your own farm, but we close when most of our customers have made several visits and before the mold and bugs build up. Come early for cooler picking and to avoid the afternoon thundershowers – door to the raspberry house will be open by 8:00 AM. Look forward to seeing folks get those extra berries to freeze and enjoy over the winter.